We provide extensive training to ensure our representatives receive the highest quality experience possible. 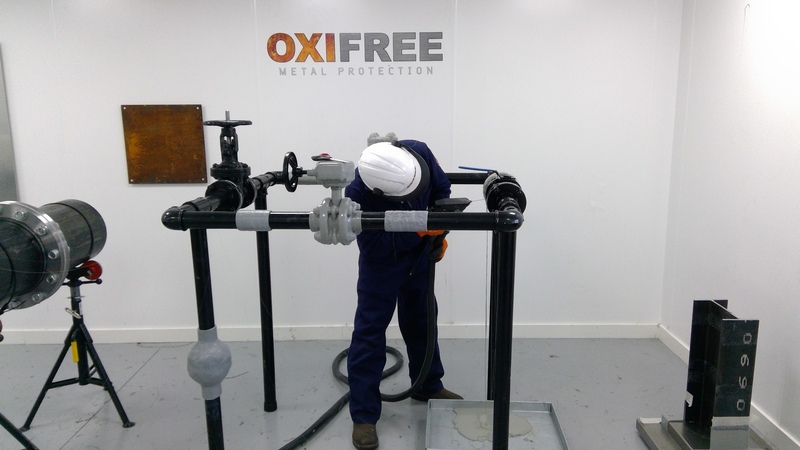 Oxifree Training typically takes place at both our Frimley, Surrey and Forfar, Scotland facility locations. The program is in place to ensure that every applicator is given the correct grounding in order to evolve their skills, and provide their end clients with a quality coating application every time. Oxifree training programs are constantly evolving to include new content which is driven by both client requirements and our own experience and research. TM198 application on various substrates types including; Gate valve, blind flange, wellhead, globe valve with rising stem, ball valve, flange assemblies, pillow block bearing housing (operational) and pipe support. 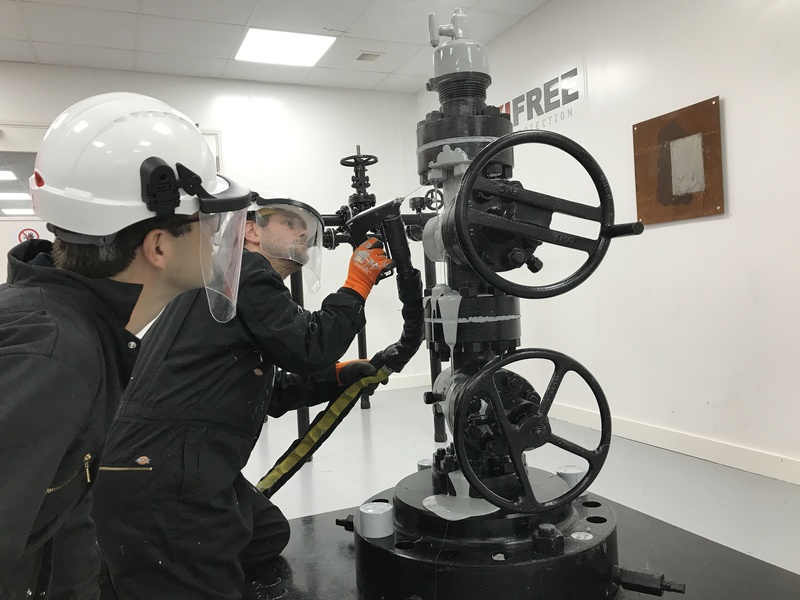 Our training instructors have many years of thermoplastic application and field service experience, and are proud to instil their knowledge and pride of work into every delegate they train.